We (Sharon, my friend and one of my tour participants and I) headed off on the train to explore Romeo and Juliette territory to delve into the world of Shakespeare’s famous couple. With so much violence and hatred going on across the globe, I wanted to see what a city based on love could show the world. I tried not to have an expectation of what it might be and just enjoy what showed up for me. Well, why wouldn’t we head here with the hordes of other tourists? 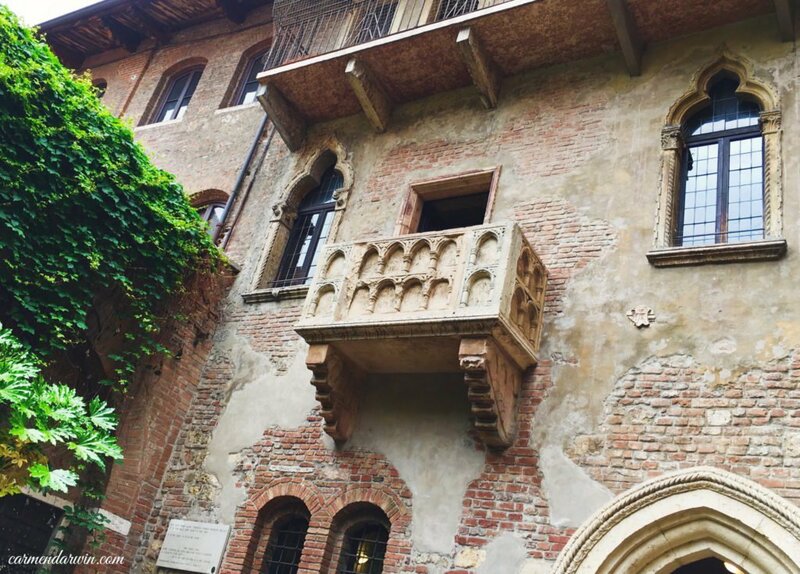 You know I am not a huge fan of ticking things off the list but I needed to see Juliet’s courtyard, home, and balcony and push everyone out of my way to get to where the real-life Cappello family once lived. 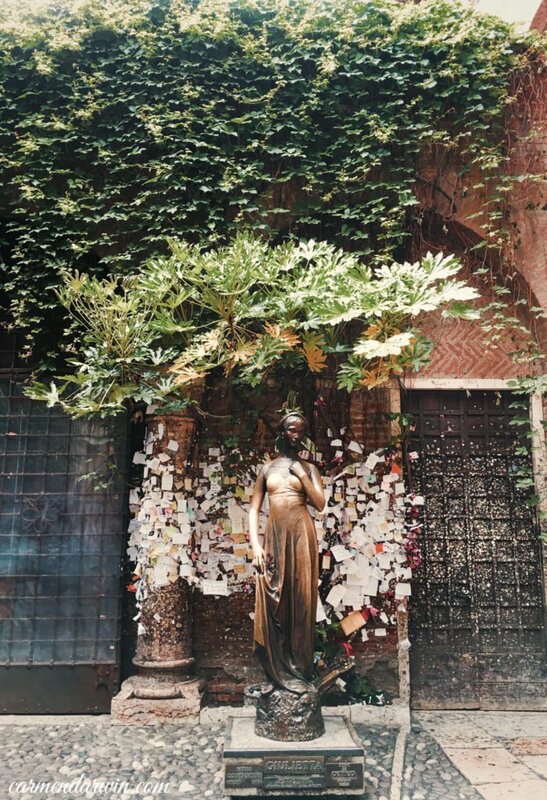 I knew and understood before I went that attractions like this become crass because of the mass tourism; however I just needed to get to where the star-crossed lovers used to hang out and see it for myself. Love letters are sent to Juliet, Verona Italy in the hope that they are answered by the one of many volunteers at www.julietclub.com I decided to write a one of my own, but mine was to thank them for keeping the beauty of love alive and well in our modern society. 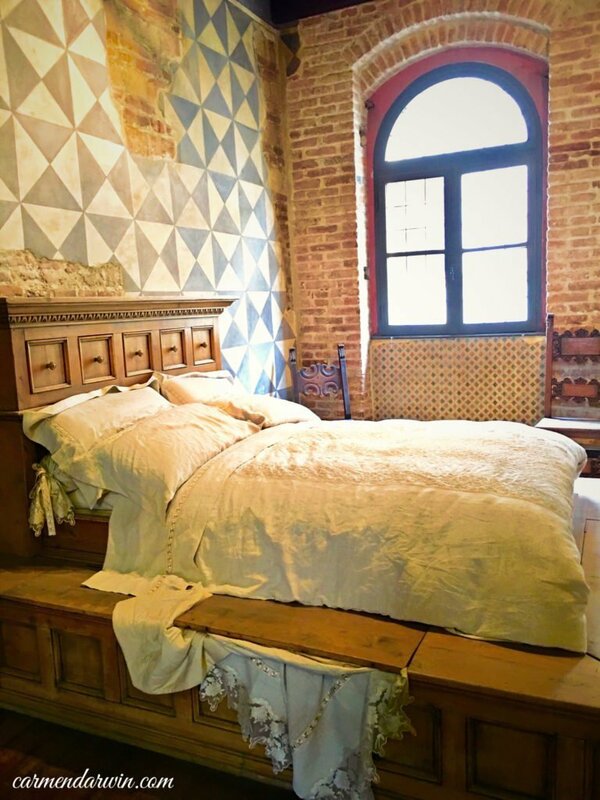 I made my poor husband watch the movie Letters to Juliet with me before my trip to Italy as a warm up event. 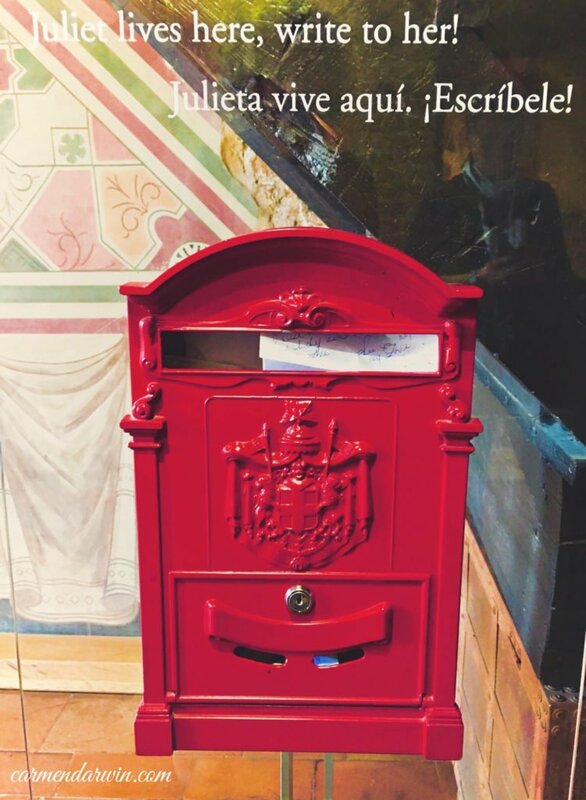 You can still send letters to Juliet today! I really have to admire the ancient Romans….man did they get around! 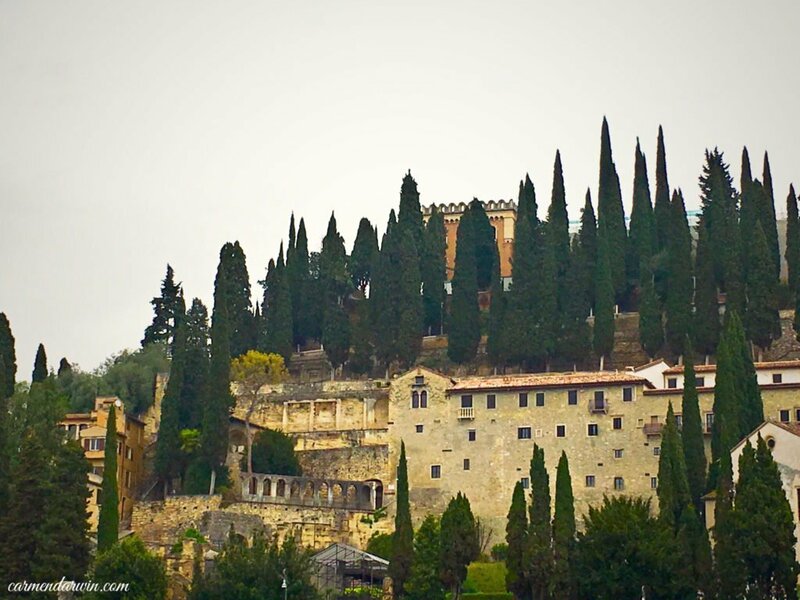 Once again Verona is an example of amazing Roman architecture and this city houses a wealth of Roman ruins. 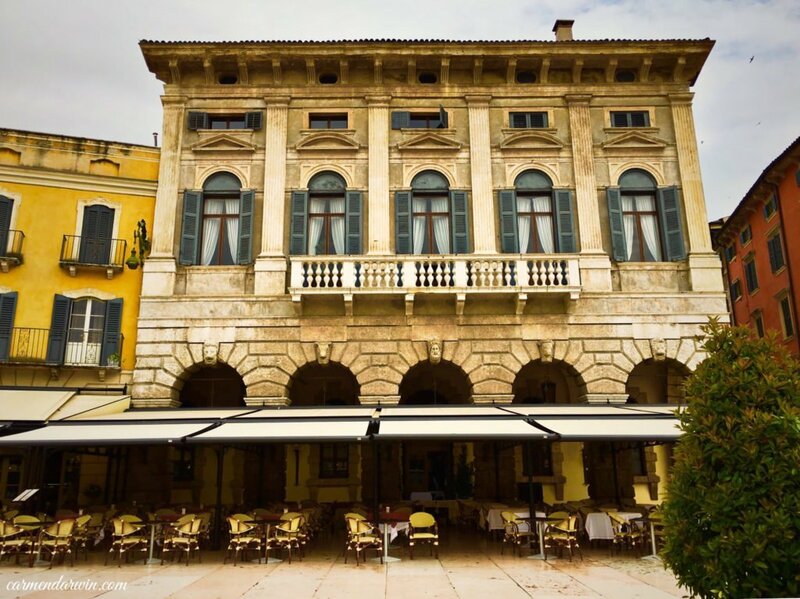 I was in awe of the magnificent columns and facades of these gorgeous old buildings in Verona. They knew how to design those Romans because they were into beauty in Architecture which I sadly think is a dying art. Bring back beauty in our modern cities I say! If I could go back in time to any era, I would have loved to hang out in those Roman baths in my toga while some gorgeous man was feeding me grapes…just saying! 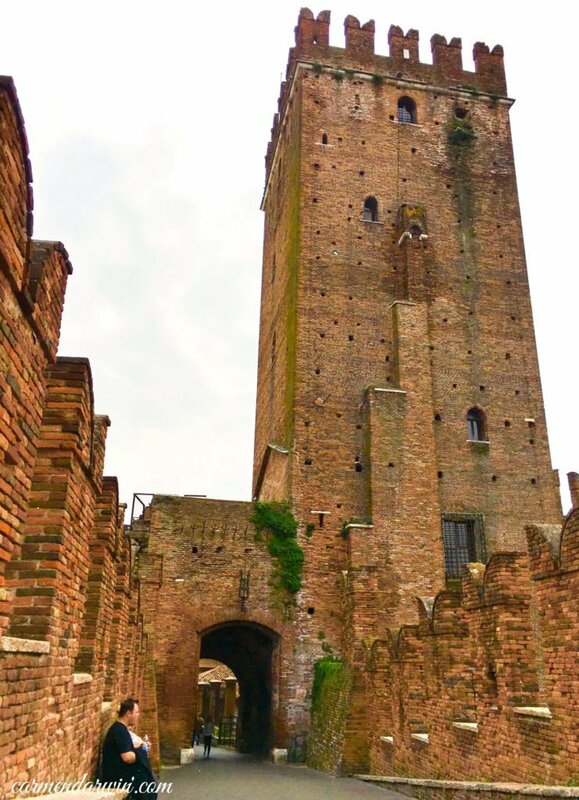 On our bikes, we took in some of the following sights Piazza delle Erbe, Coso Porta Borsari, Castelvecchio Bridge, Torre dei Lamberti, the Arena di Verona and Teatro Romano de Sagunto. 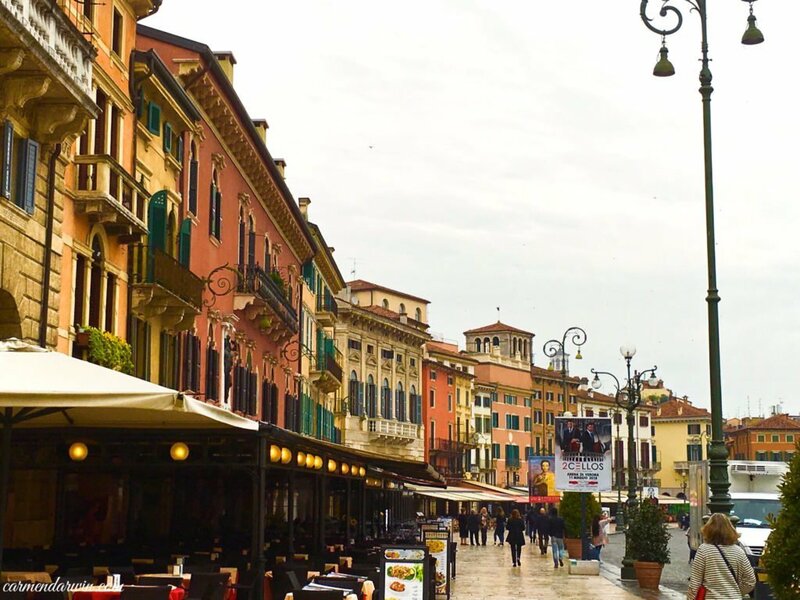 Ahh, Verona, I love you. 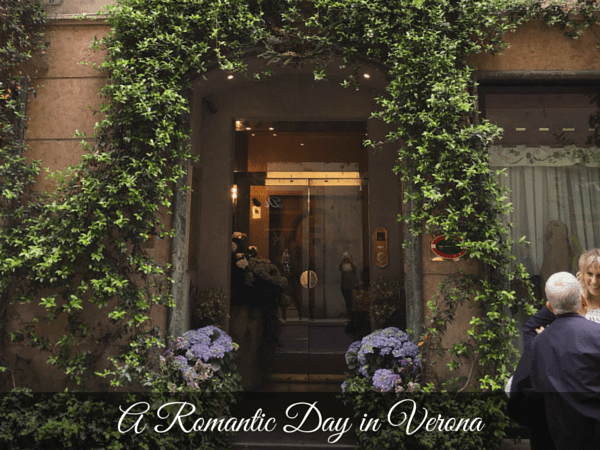 I loved checking out the shop windows in the heart of Verona’s shopping scene. I love the creativity of the displays and of course seeing the myriad of beautiful things on offer. Here of some of the lovely ones I photographed on this special day in the romantic city of Verona. 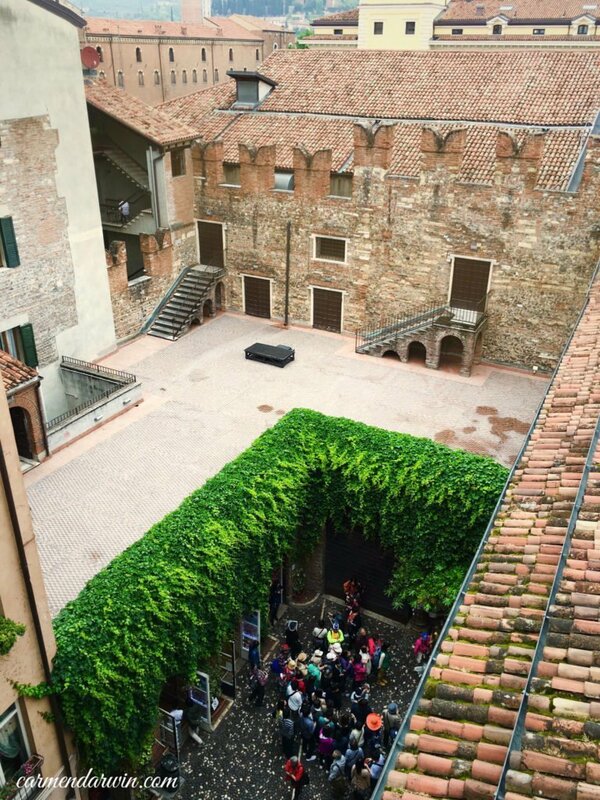 Would you visit Juliet’s home if you went to Verona? Please leave your comments below.